Following an impressive run of games, Saed Kolasinac has emerged as a key player for The Gunners. Having joined Arsenal in the summer of 2017 on a free transfer from Schalke, Saed Kolasinac’s form was inconsistent during his first season in north London. He had shown promise going forward, bagging two goals in the Premier League and a further two strikes in the Europa League, but there were often question marks over his defensive capabilities. 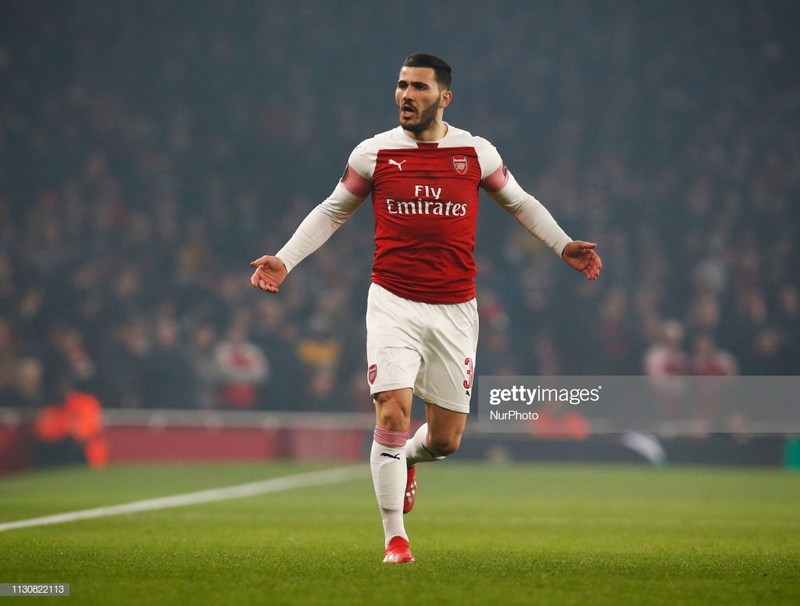 Since being introduced into the starting XI by Gunners boss Unai Emery in recent times, Kolasinac has caught the eye with several outstanding displays. Impressing in the attacking third, and adequately fulfilling his defensive duties, the 25-year-old appears to be benefiting from Emery’s management. Injury-stricken Hector Bellerin is an important player in Arsenal’s setup, the Spaniard offers width and complements Emery’s style of football with overlapping runs. Since losing Bellerin’s productivity from full back, Kolasinac as stepped up and provided the Gunners with another attacking outlet from a wide position. Matching Bellerin’s five assists in the league, Kolasinac has aided Arsenal’s cause with another assist in the Europa League. Kolasinac’s marauding runs and ability to pick out a man in the box have become a feature of Arsenal’s attacking patterns, evidenced by a cutback for Pierre-Emerick Aubameyang against Rennes, who’s goal effectively ended the two-legged affair. Kolasinac’s performances in bigger games has offered optimism to the Gunners faithful, he has starred in victories against the likes of Tottenham Hotspur and Manchester United, whilst also coming to the fore in Arsenal’s Europa League campaign. Although he was not initially named as one of Emery’s infamous five captains, his mentality and leadership has occasionally aided his team’s cause. Despite featuring predominantly in a left wing back role, Kolasinac is also able to play at left full back. Emery regularly switches between 3-5-2 and 4-2-3-1 formations, so Kolasinac’s adaptability has been a huge asset for his side. Going back to Kolasinac’s days in the Bundesliga at Schalke, he once occupied centre back and defensive midfield roles- further demonstrating the Bosnian international’s versatility. The offensive side of his game has always been an apparent strength, but defensively he has shown marked improvements. Weighing in with 17 interceptions and 104 ball recoveries in the league, Kolasinac has played his part in helping improve Arsenal’s substandard record of clean sheets. Nicknamed “The Hulk” due to his stocky build, his 58 duels won show he is indeed a physical presence on the pitch. Kolasinac has seemingly overcome several niggling injuries which prevented him from being regularly available for selection. He has quickly become a fan favourite and will look to build on his recent run of form, starting with Arsenal’s first game after the international break, a Monday night clash against Newcastle at The Emirates Stadium.